MON PA PA Guest House setting a new standard that running by family business. 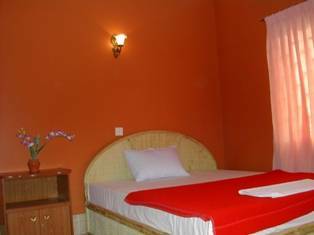 Beautifully appointed rooms and famous Khmer services. 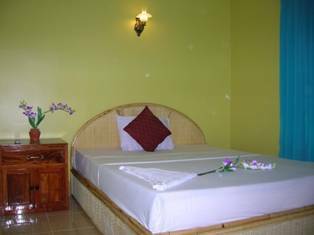 The building is new, and the 19 rooms are tastefully decorated with traditional Khmer designs and well appointed with amenities for comfort and convenience. And now INTERNET CAFE IS AVAILABLE AT MON PA PA GUEST HOUSE. NOTE: Single or twin room with Fan $6. 00 per person. Single or twin room with Fan/Hot water $7. 00 per person. Single or Twin room with Air-conditioning $10. 00 until $12. 00 per person. Many tourists impressed by what Cambodia has to offer, would like to leave a little something behind. When you're finished with the temples, MON PA PA Guesthouse can introduce you to several charitable organizations, which they support with a special guided visit. Single or Twin room with Fan $6. 00 per person. Single or Twin room with Fan/Hot water $7. 00 per person. Single or Twin room with Air-conditioning $10. 00 until $15. 00 per person. it is center of siem reap city. 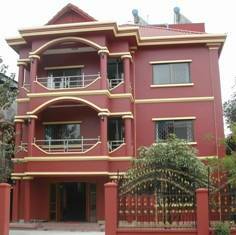 Nearest airport: My guest house is 8 km from Airport and free pick up.